Poland has exported nearly three tonnes of beef from an abattoir that was accused of slaughtering sick cows. 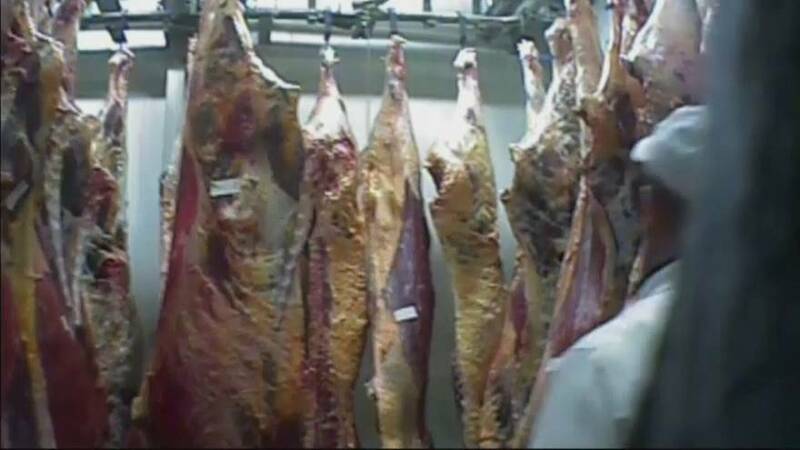 Suspect meat from the abattoir went to at least a dozen European Union countries, including Romania, Hungary and Finland. The scandal erupted after undercover footage emerged that appeared to show sick cows being dragged into the slaughterhouse and sold with little or no veterinary oversight. Polish authorities closed down the abattoir. Anca Paduraru, European Commission (EC) spokeswoman for food safety, told Euronews' Good Morning Europe show that withdrawals were ongoing. "We are in close contact with the Polish authorities and at the request of the European Commission on the 29th of January the rapid alert system for food and feed has been triggered by Poland and this allowed the tracing and the withdrawal from the market of the concerned meat," she said. Paduraru added EC is sending a team of inspectors to Poland on Monday to help authorities investigate the case and see how such situation could be prevented in the future. Poland produces about 560,000 tonnes of beef a year, with 85% exported to countries including Britain, Spain, Italy and Germany.